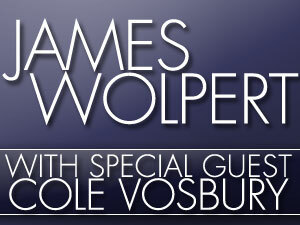 Due to the quick sell-out of the James Wolpert concert (scheduled for Saturday, February 15,) a second show has been added for the next day, Sunday, February 16 at 7:00 p.m.
Wolpert, a Lancaster County native and Lampeter-Strasburg grad, was a contestant on the 5th season of NBC’s hit singing competition The Voice, making it through blind auditions, battle rounds, knockouts and numerous live performance shows to claim the 4th place spot. In addition to a second show, Cole Vosbury, Wolpert’s castmate on Season 5 of The Voice, has been added as a special guest at both performances. Singer and multi-instrumentalist Vosbury has a country blues sound with a background of soul and rock.